When thinking of a gift for the father figure in your life, what about getting Dad some new wheels? We know he’ll want to have something updated, whether he's a family man, a big city guy, or he loves the great outdoors! We think Dad will love our list of fantastic vehicles. We have options for every type of dad, sure to get him on the road and enjoying life! If your dad loves the great outdoors, look no further than a Jeep. Meant for off-roading, Jeeps offer space and conveniences with the ability to hit the road, as well as the trails. Whether you look at the Cherokee model, upgrade to the Grand Cherokee, or go big with a Wrangler, Jeeps are ideal for men who love to travel, embrace their rugged side, and most of all enjoy off-roading abilities. However you and your family choose to enjoy a Jeep, your Dad will love its four-wheel design. Jump in a four-door Wrangler and your whole family can join you on your adventures, wherever you plan to go. Family cars are becoming more and more popular. At home, the family room is often where you spend most of your time together. On the road, your family car becomes a second living room, and vehicle design is shifting to embrace this lifestyle. One of the most significant shifts is within the SUVs and crossover realm. They are hitting the scene with new, spacious, and family-oriented cars. That means these vehicles are giving minivans a run for their money. SUVs and crossovers offer drivers the convenience of a larger vehicle while sticking to a sleek, modern style. SUVs can range from basic options to ultra-luxury, with all the top-of-the-line technology to streamline your driving experience. Take a look at our SUV inventory. Sedans are an ever-growing body style from compact to ultra-luxury, and most people opt to purchase this body style. We understand that not every guy wants to have a family car, and that’s okay! So if you’re in the big city (or not) and want something sleek, flashy, and modern, check out an Audi. Audi is slowly becoming a favorite for Dads who want to enjoy luxury without a shocking sticker price. 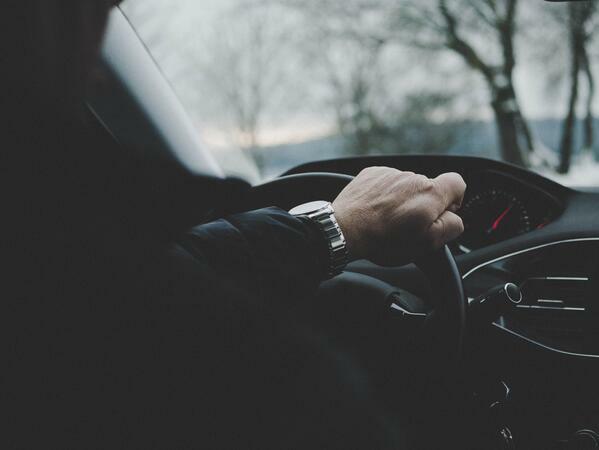 Most sports cars these days come with options like all-wheel drive, and if you’re in colder climates like Minnesota, the man in your life will love having this option in the winter months. 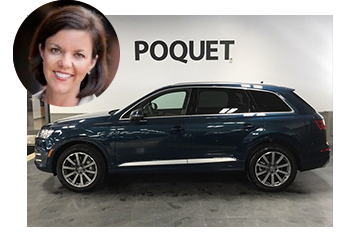 Check out our inventory of sedans at Poquet! Whether Dad is an off-road junkie, big city lover, or family man, we’ve got incredible options for him and the whole family to enjoy this Father’s Day. 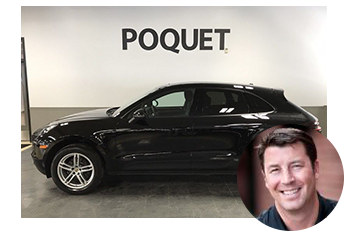 Have Dad stop by for a test drive at Poquet Auto! View our inventory online, stop by our showroom, or give us a call at (763) 522-2000. 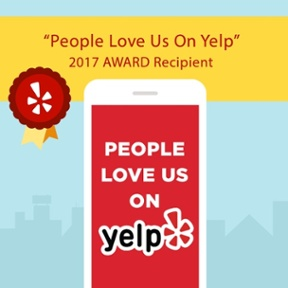 Dad will thank you for a trip to Poquet Auto!